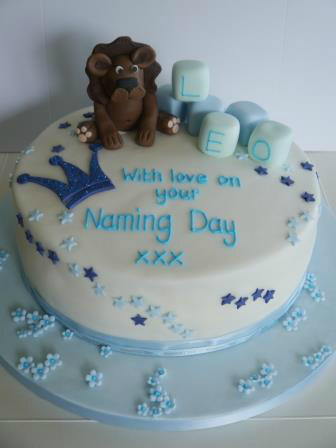 A Naming Ceremony is a very special way to celebrate bringing a new baby into the family and your community. 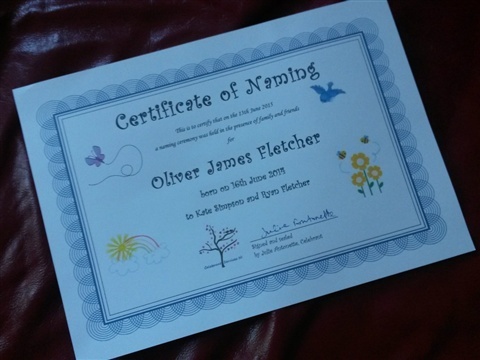 As the child can be any age, a Naming Ceremony is also ideally suited to welcome and celebrate bringing an adopted child into the family or to embrace stepchildren into a new family: the perfect way to bond a family unit. Your ceremony can be held wherever you choose – at home in your garden, in a hotel, a village hall – even on a boat on the open seas if you wish! 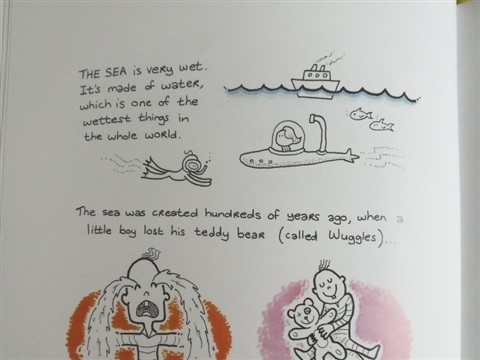 A Naming Ceremony is usually quite an informal affair, lasts for about 30 minutes and is very much child-centred. It is a time for parents to state their love and commitment to the child and declare hopes for their future. 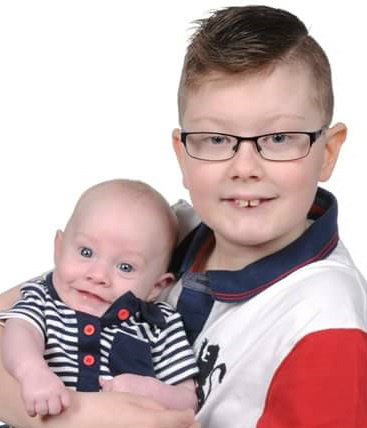 Parents may choose to nominate "guideparents" for the child, who can be close friends or family, who will make their commitment to provide support for the child as he or she grows up and throughout their lifetime. I will create your ceremony to be enjoyed and remembered by the whole family. 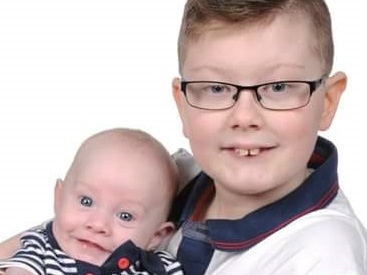 You can choose to involve other children, family members and friends if you wish. 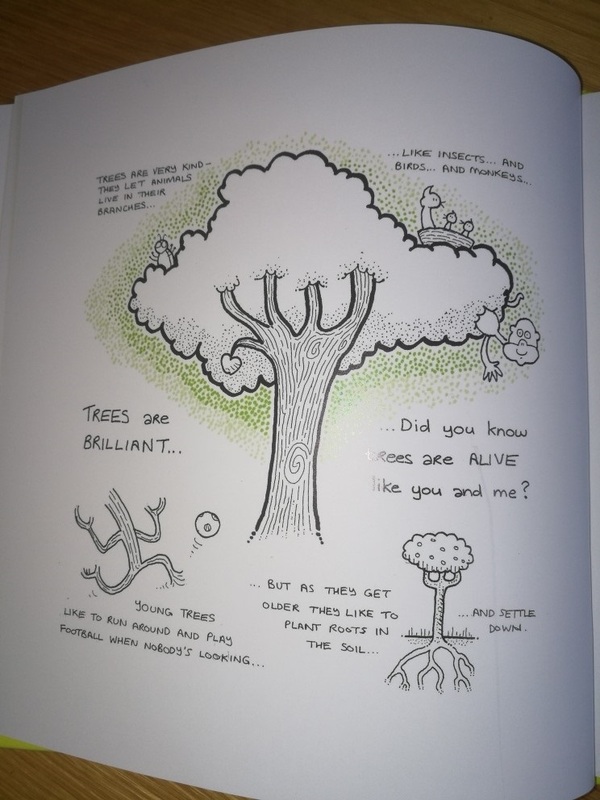 You can include favourite poems or readings and music. 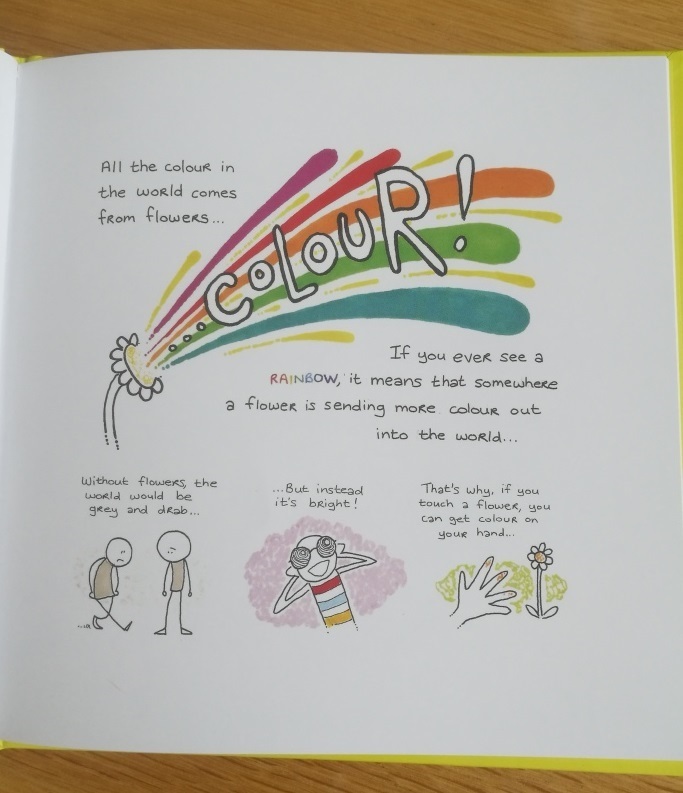 There are many lovely ‘special elements’ that you might wish to include too – Unity Sand, Pebble Jar Wishes, Balloon Release, Tree Planting – all of which add colour and excitement to the day. Have a look at the list below and have fun choosing! 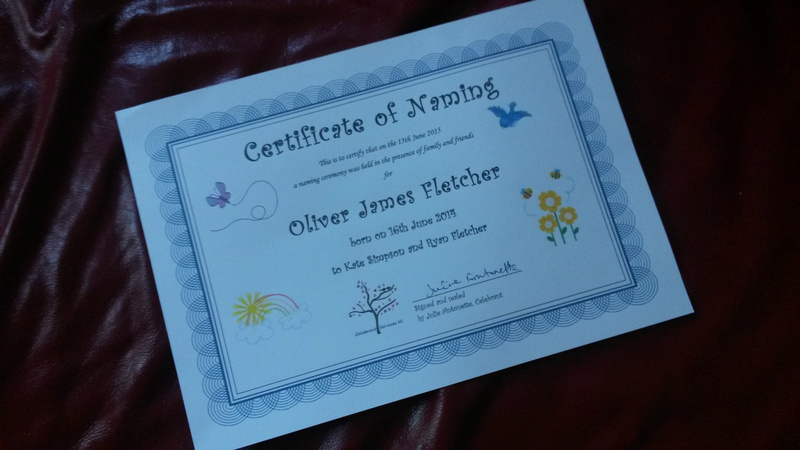 During the ceremony I light a personalised candle to celebrate the naming, present you with a Certificate of Naming and leave you with a beautiful, bound copy of your script. Lots of lovely little keepsakes! 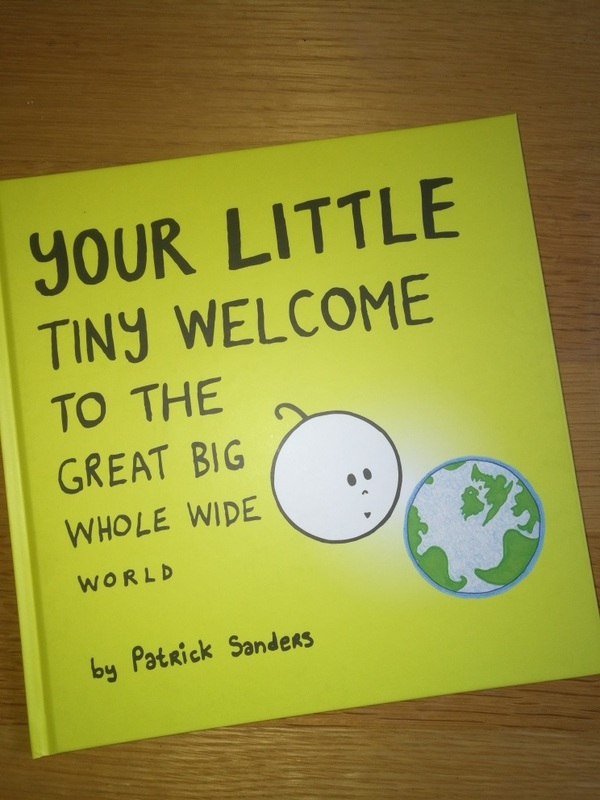 I am very privileged to have some copies of the most beautiful book created by my friend Patrick Sanders, "Your Little Tiny Welcome to the Great Big Whole Wide World". 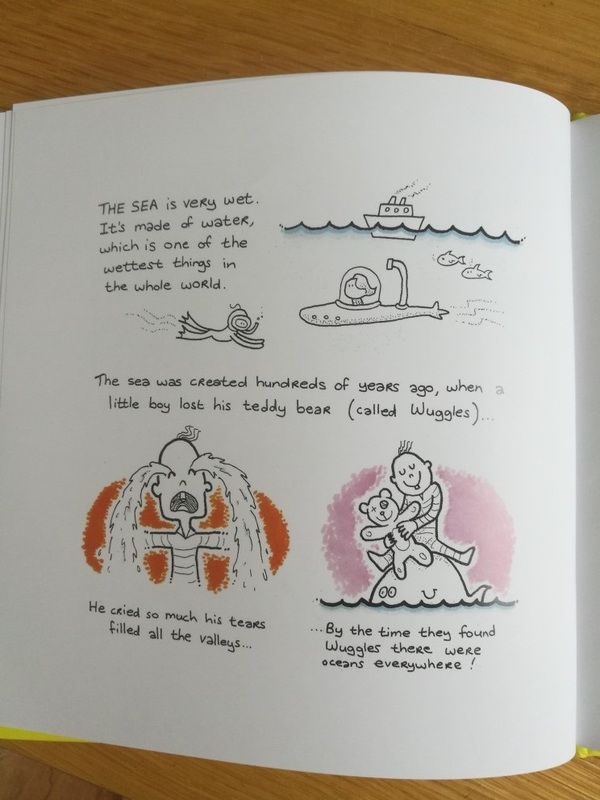 Have a look at some pages below and you can buy a copy here - a brilliant gift for your little one on their Naming Day. 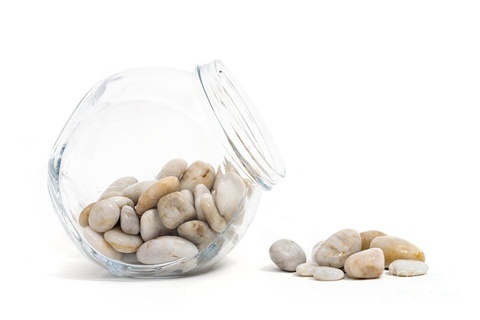 Everyone brings/is given a pebble which they hold throuhgout the ceremony and infuse them with good wishes for the child and the family. These are then collected in a jar to be retained as a keepsake. Balloons can be released with messages of love attached, written by those present and absent family/friends. Wishes can also be received from afar to be attached and released. 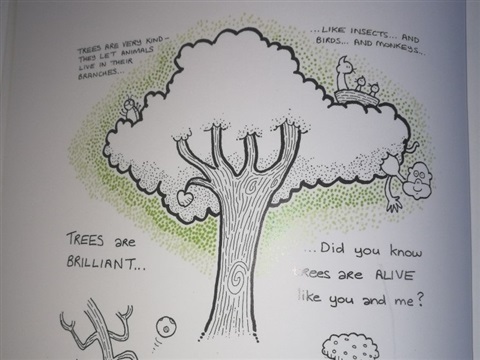 Everyone has a small card to write on their hopes and wishes for the child and the family. During the ceremony they place the cards into the box and the family opens them at a time of their choosing. Family and friends place something of significance from the date of the child’s birthday or naming day into a box to be opened on his/her 21st birthday. This can be messages, small gifts, money(!). 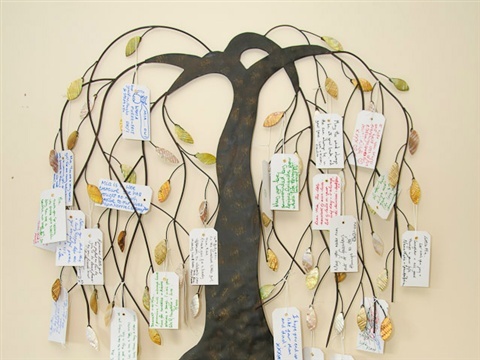 During the ceremony family and friends attach their messages of love and good wishes to the True Love Tree which can be a branch of a tree from the garden or a wall hanging. The colours of rose petals have symbolic meanings - White for innocence and purity, Yellow for friendship, Pink for unconditional love. 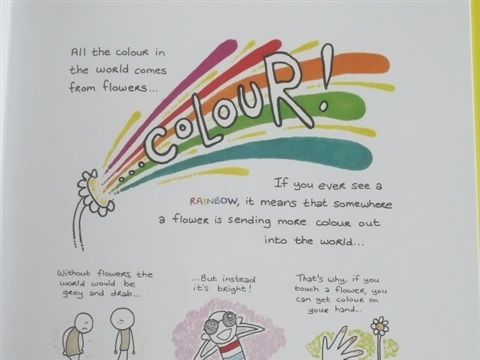 Choose one colour or many for your family and friends to create a rose petal shower to celebrate the naming of your child. Sand from separate containers is poured by the parents and/or immediate family into one larger container to be kept as a reminder that the child’s family is united in his/her care. Often used in wedding ceremonies this ancient Celtic tradition uses symbolic coloured ribbons, chosen by the parents, to bind the family together in love and commitment to the wellbeing of the child. Everyone holds hands to create a circle around the family unit as the naming takes place, to 'lock in' their commitment to love and protect the child always. "It was a lovely service!! Thank you so much for all your hard work! We loved it and everyone said how nice it was!" "Our baby's naming ceremony was so beautiful & unique & personal to us. Everybody commented on how nice it was. Julie is top class, professional & friendly. Can't recommend her enough. Thank you so much." 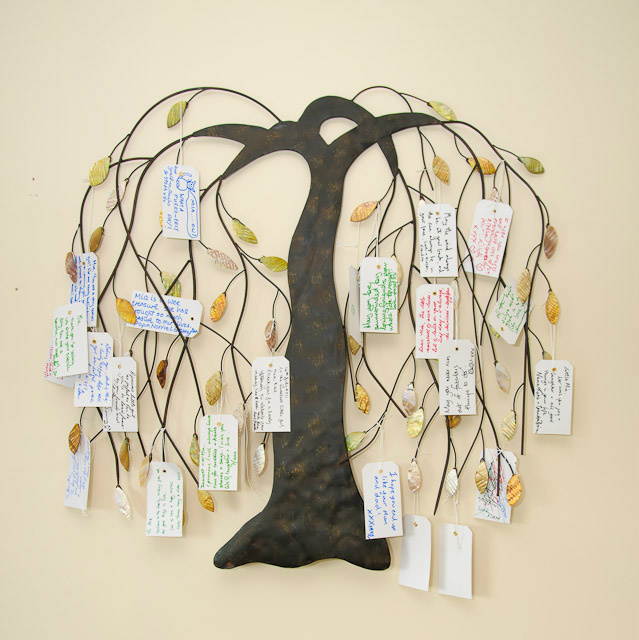 True Love Tree ... a lovely way to gather the good wishes of your family and friends.